After more than a decade leading communications teams in state government, corporate America and a PR agency, Matt Resch founded Resch Strategies in 2009 at a desk in his spare bedroom. Time flies and Resch Strategies has never looked back. Now headquartered just two blocks from the Michigan Capitol building, Resch leads the successful and growing firm with a low-drama, high-expectations approach, helping a diverse list of clients tell their stories better. Matt began his communications and public relations career in the Michigan governor's office. From there he directed public and media relations efforts on behalf of two state Speakers of the House, a fortune 30 company, a state legislative caucus, a statewide ballot effort, a presidential campaign and another public relations and political consulting firm. A native of Fort Wayne, IN, Matt now calls Lansing, MI, home, where he lives with his wife, Brenda and sons, Owen and Cooper. He is a graduate of Hillsdale College. Nick De Leeuw has been helping people tell their stories for more than a decade. From successfully directing communications for numerous high profile ballot proposal committees, serving as the press secretary for a gubernatorial campaign, helping lead the press shop for Michigan’s Attorney General, and launching and developing one of the state’s most prominent new media homes for political news and commentary, he’s honed a reputation for working hard and working smart. Nick joined Resch Strategies in 2010, fresh off the campaign trail and after years spent consulting statewide on ways new and social media can help people, candidates and organizations share their visions and effectively communicate their stories. A proud Grand Rapids native and graduate of Grand Valley State University, Nick began his career in 2003 at the Michigan Republican Party where he was responsible for statewide grassroots organization, as well as planning and executing large-scale events. He lives in Fowlerville with his wife, Sarah, and sons Asher and Carter. When clients talk about Stephanie, they describe a professional who gets results. Look behind the scenes of many key initiatives of the last three decades and you’ll find her tirelessly producing strategies, documents and internal supports for a wide array of organizations. After beginning her career in K–12 school finance, Stephanie went on to work in politics and state government. She spent four years in the executive office of the Michigan Department of Treasury before striking out on her own in 2001. Stephanie has worked with clients in the public, private, non-profit, university, and K–12 sectors. Her breadth of experience ranges from supporting top executives in large multinational corporations to helping start tiny new organizations from scratch. A Michigan native, Stephanie now lives in DeWitt with her husband, Dyck, and sons Alex and Don. She is a graduate of Hope College. With an analytic-based background and a history of delivering on electoral, legislative, and issue advocacy campaigns, Joe brings a unique skillset and experience to the world of public relations. Prior to joining Resch Strategies in 2016, Joe served as a Principal with American Strategic Analysis & Performance – a Houston-based public affairs firm. While at ASAP, Joe helped direct the efforts of two national non-profits dedicated to education, communication and issue advocacy on health care, tax reform and governance reform. In addition Joe provided project management, communications, and analysis services to ASAP clients including a chain of Ohio newspapers. Joe was also a core member of the team behind the 2012 Campaign for Primary Accountability “Super PAC” dedicated to the defeating incumbent members of congress. The independent expenditure campaign successfully unseated three congressional incumbents in primary elections in the 2012 cycle. Joe is a Lansing area native and a graduate of the University of Notre Dame. From social media promotions to online advertising, SEO, content strategy, content marketing and more – Nikki O’Meara has done it all and that is why she is our Director of Digital Marketing. As a skilled digital marketer, Nikki has spent her career managing the content creation and digital promotion of brands in both the higher education and technology sectors. Her experiences have provided her the expertise, insight and initiative to lead multiple projects and deliver results. Prior to joining Resch Strategies, Nikki led the digital content, social media and communications efforts of Michigan State University’s College of Communication Arts and Sciences. She has also worked for Olivet College as Director of Content Strategy and TechSmith Corporation as a writer, digital advertiser and social media marketer. Nikki earned her bachelor’s degree in advertising and public relations and master’s degree in advertising from Michigan State University. Nikki and her husband Robert live in East Lansing with their dog Piper. 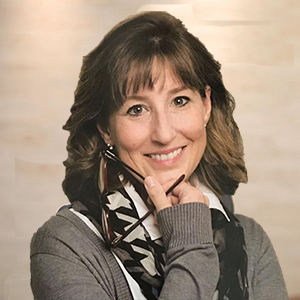 With more than 10 years of experience in government, corporate and agency public relations, Laura brings a track record of results to Resch Strategies. From writing and media relations to event planning and issue advocacy, Laura has done it all. Laura comes to Resch Strategies from the Governor's office where she spent four years helping craft the administration's messaging and leading the Lt. Governor's communications initiatives. In the Executive Office, she also organized large-scale press conferences and events, served as a spokesperson and worked with statewide and national media outlets. Laura previously held communications roles with the Quicken Loans Family of Companies, the Michigan House of Representatives and the public affairs practice at Lambert, Edwards & Associates. One of her proudest accomplishments is working on the Campaign for Smokefree Air, which helped pass the law that made Michigan a smokefree state in 2010. A Michigan native and two-time Michigan State University graduate, Laura lives in DeWitt with her husband, Jimmy, daughter Adalyn and crazy dog Jax.